Senior religious and political figures in the Russian Federation hailed the successful parliamentary elections in Bahrain last week that witnessed a 67% turnout. His Eminence the Grand Mufti of Russia, Russian Muftis Shura Council Chairman & President of the Religious Administration of Muslims in Russia, Shaikh Rawi Ainuddin congratulated His Majesty King Hamad bin Isa Al Khalifa on the success of the parliamentary elections in the Kingdom. 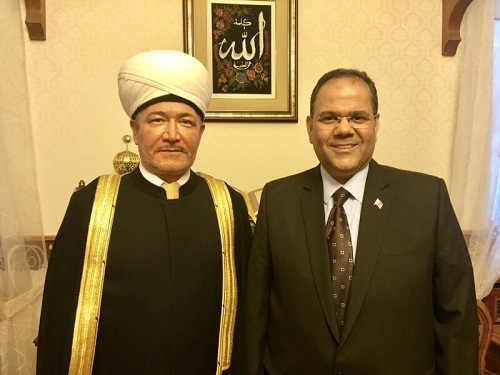 That came during a meeting between His Eminence Shaikh Rawi Ainuddin and the Ambassador of the Kingdom of Bahrain to the Russian Federation, Ahmed Abdulrahman Al Saati. His Eminence Shaikh Rawi Ainuddin said that the success of the parliamentary elections in the Kingdom of Bahrain reflects the development of the democratic experience in the Kingdom and affirms the keenness of Bahrain’s leadership and people to continue the reform approach of His Majesty the King. His Eminence Shaikh Rawi Ainuddin expressed his pride for the deep-rooted bilateral relations between the Kingdom of Bahrain and the Russian Federation, praising the constant development of these relations in all fields. The Head of the Arab-Russian Parliamentary Committee at the Russian State Duma, Rasul Butachev said that the success of the elections in Bahrain mirrors the advanced level of the democratic experience in Bahrain under His Majesty the King, which is admired and appreciated in the Russian Federation. Rasul Butachev affirmed in his meeting with the Ambassador of the Kingdom of Bahrain in Moscow the keenness of the Russian State Duma to bolster its relations with the Bahraini Council of Representatives, which is represented in the exchanged visits between the two councils in the last session, for the interest of the two countries and friendly peoples. 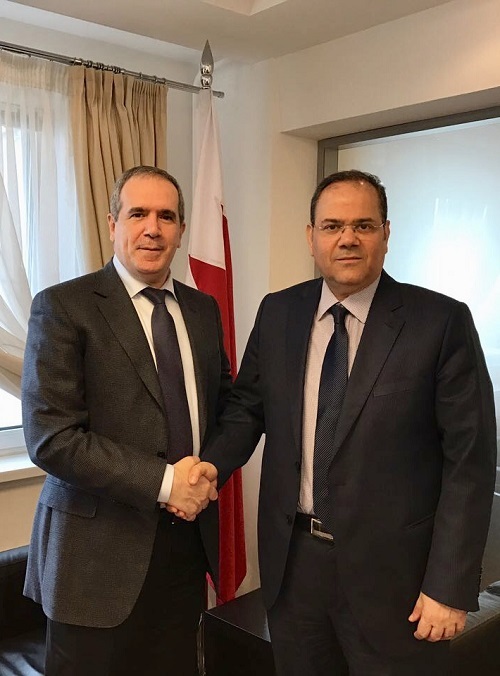 For his part, the Deputy Chairman of the Committee of Foreign Relations at the Council of the Federation, Dr. Ziyad Sabsabi, stressed that this success is another achievement for the Kingdom of Bahrain in the field of democracy, which was established by His Majesty the King since his accession to the throne with the support of the loyal Bahraini people. 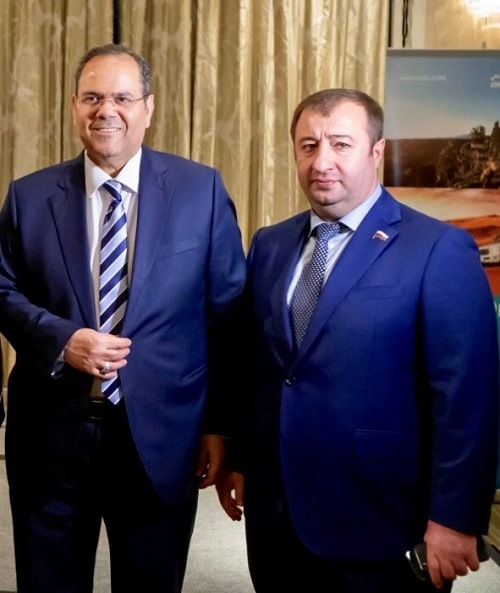 During a visit he paid to the Embassy of the Kingdom of Bahrain in the Russian Federation to congratulate the Ambassador on this achievement, Dr. Sabsabi stated that through his constant follow up and communication with Bahraini officials, he could affirm that the Kingdom of Bahrain is on the right path towards further progress and prosperity. Russian media outlets commended the success of the parliamentary elections in the Kingdom, and highlighted the large numbers of candidates and voters, including women, which reflects the democratic awareness of the Bahraini society.